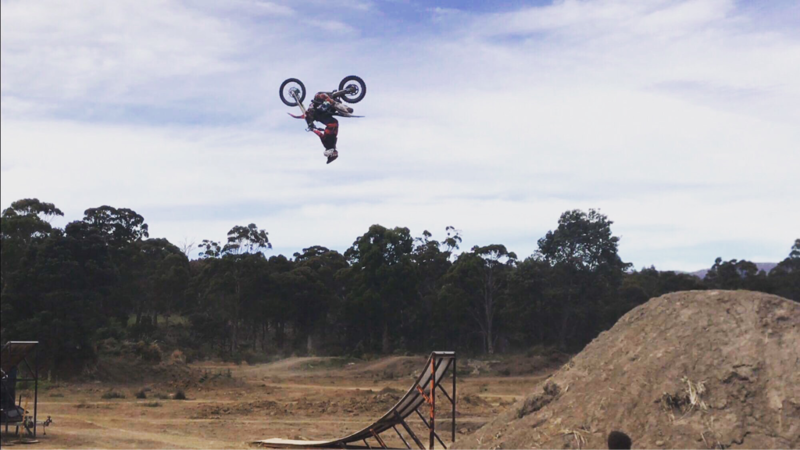 Welcome to Tasmania's home of extreme sports entertainment featuring the states best in Freestyle motocross! with a fully portable Truck system, full insurance, Risk management plans and Engineered ramps! We have Over 10yrs experience... Enquire today and have the worlds fastest growing action sport freestyle motocross at your event! 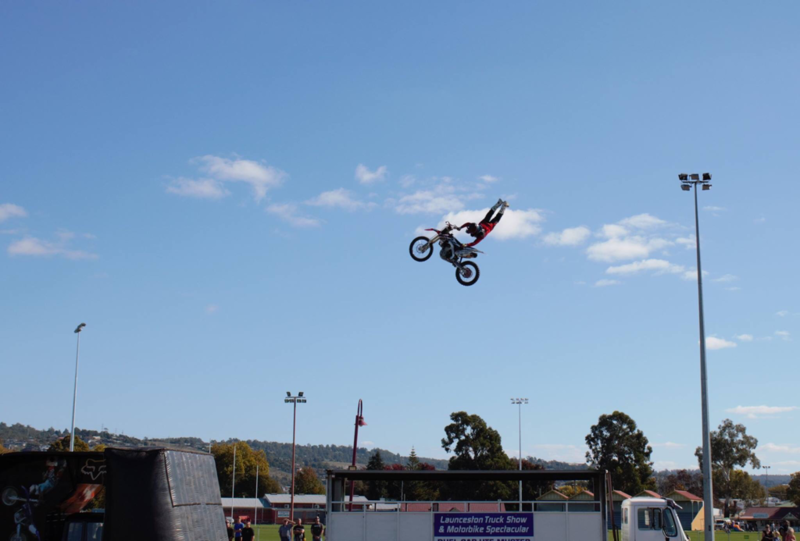 Portable FMX Take Off and Landing Ramp: The Portable FMX truck is not just a Landing Ramp but a show piece that creates attention and interest before the show even begins. Our Portable FMX System is one of the largest in Australia and comes accompanied with a Safety Air Bag that can absorb impact up to 600kg. Our system allows athletes room for error to land out of centre path with change of wind conditions and to go big with tricks without hesitation. Our Portable Take Off Ramp is a Standard FMX Comp Kicker mounted on a trailer and sets up in just minutes.